Shaping Ormoc City into another tourist destination in the Visayas takes Bohol for a model. Awed by Bohol's feat in tourism, Ormoc City Mayor Richard Gomez said they want to imitate Bohol's path to the top. "Because you are one of the places with a very successful tourism program," Gomez told members of the Bohol media who paid a courtesy call Tuesday after touring the National Grid Corporation of the Philippines (NGCP) facility here. Gomez elaborated that Ormoc's future plans are directed at developing the city into a tourist destination, considering its potential. "Our thrust in Ormoc is to promote tourism," the mayor said. Gomez said tourism in Ormoc is promising at the same time rewarding for the local economy particularly with new investments and when tourists spend money. "We are aiming Ormoc to be a tourist destination. Maybe we are not as beautiful as Bohol but we have some areas that we can be proud of like Lake Danao," Gomez said. He added that Ormoc City also hosts the Energy Development Corporation (EDC), one of the world's pioneer in geothermal energy industry, and "the recognized world leader in wet steam field technology" which can be promoted into engineering tourism. "We can be proud of our engineering tourism. EDC is a fantastic place to visit for its engineering marvels. It is the largest steam field in the world," according to Gomez. He also cited Ormoc's river system project built by the Japan International Cooperation Agency (JICA) in 1993-1994. 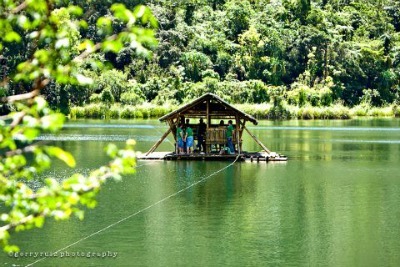 The guitar-shaped Lake Danao tops Ormoc's destination where there are floating cottages, picnic areas and boats for hire. The lake is niched in a 2,193-hectare natural park. Other known lakes in Ormoc are Lake Kasudsuran and Lake Janagdan. Ormoc's oldest bridge, Punta dela Reina, also attracts visitors for its historical significance that traces "the last evidence of Spanish colonization" when it served as "docking area for traders," as described by bloggers. Ormoc's pineapple plantations span hundreds of hectares of rolling terrains. Gomez also takes pride of the peace and order situation in Ormoc City — the main factor that could draw in more visitors. He noted the much improved peace and order in Ormoc, considering it used to be among the top concern areas in the region due to the drug menace.